Home/2017/Tips for newly diagnosed with GBS. Tips for newly diagnosed with GBS. I receive so many emails from concerned family members of people that have been diagnosed with GBS, pleading for me to give them advice on how to deal with this. I experienced firsthand what their family has gone through; my family was in the exact same position at one point. And we were desperate for any kind of suggestions to help us all cope. So I completely understand why so many people reach out to me. Suddenly being diagnosed with GBS, and not understanding the disease and what was happening to me, was absolutely terrifying for me and my family. And that acute stage in the hospital was the most challenging part of GBS by far. Not only was I in severe pain, I thought I was dying. I was dealing with severe anxiety and depression and barely had the will to go on each day. But after I had recovered and wrote my book, I was able to really dissect my experience with GBS and see what sort of things helped me and my family during that time. These suggestions may not help everyone, because every person and case is unique, but they really did make a difference for me. And I hope that providing some suggestions can help those going through it now. I hope that sharing these will give you even a bit of strength when you need it the most. The NUMBER ONE most important thing you need to know is that GBS is an acute disease, meaning that once the patient reaches their absolute worst, they WILL start to recover. In general, symptoms will get worse for two to four weeks before they start stabilize (for me it was actually 6 weeks), but they WILL start to improve. And not only do YOU need to remember this, the patient needs to be told this EVERY. SINGLE. DAY – if not A HUNRED times a day. They WILL get better. There is every reason to believe that they can get out of the hospital one day and back to their life again. But it is going to take time….a really long time. I’m talking weeks or months before you see much improvement. And that will be the hardest part for both families and patients– the paralysis of the body, waiting for something to move again. But it will come. They will hit their plateau and very slowly, things will start to improve. That’s why they call GBS- “Getter Better Slowly”. So remind them of this. Remind them constantly that they WILL get better; it’s just going to take time. Stay positive, don’t lose hope and don’t ever give up. 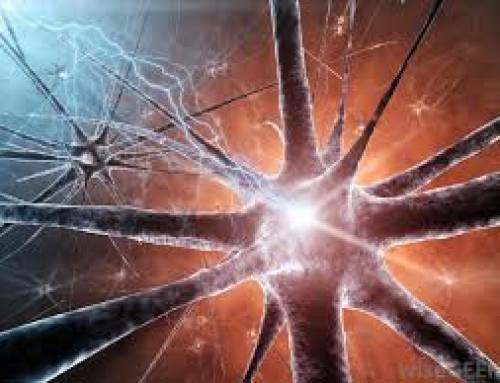 Nerve pain will likely (but not always) be the hardest thing to get a handle on. It is a severe pain that will be felt throughout the entire body because the nerves are inflamed, and I will be honest, it’s a pain that is so unbearable that it makes you want to die. Massages and moving positions may help alleviate the pain, but truthfully, the only thing that will really help is a narcotic or opioid. And while you may be worried about them being on such strong medications, I assure you they need it, and you need to get them it as much and as often as allowed. I was allowed top ups every hour and I would often watch the clock those last ten minutes struggling to make it to the end of the hour. The pain is very severe and needs to be dealt with, and if that means they are so drugged up they are almost sedated, then do it. And don’t be afraid to ask to try other medications. Something else may work so much better. Also, get them onto an antidepressant ASAP. Their depression will be quite severe, so be prepared for this – and antidepressant medications have been proven to help with nerve pain. They also may be dealing with sensitivity to touch, because their nerves aren’t working properly. A slight touch of a fingertip can literally feel like a knife is cutting into their skin. For me it was all over my entire body and the most painful in my feet (could also be in the hands). I couldn’t even handle a sheet or blanket on my feet because it was too painful. So be EXTREMELY careful and use slow and gentle movements when touching their body. And you may need to say this to the nurses at times. Not everyone realizes that this can happen with GBS patients, and they aren’t always careful when touching them. As the weeks go on, you will get to know the nurses and which ones are really good at handling the situation. And you may want to talk to someone about trying to get those nurses assigned to them when possible. Having a nurse that really knew my case and how to handle my GBS, made such a difference for me. The nurses that I really connected with were the ones that were able to calm me down during panic attacks and were best at managing my pain. Second to pain, the depression and anxiety will be another very difficult thing to deal with. They will be in a very dark place and will feel that their life is over. 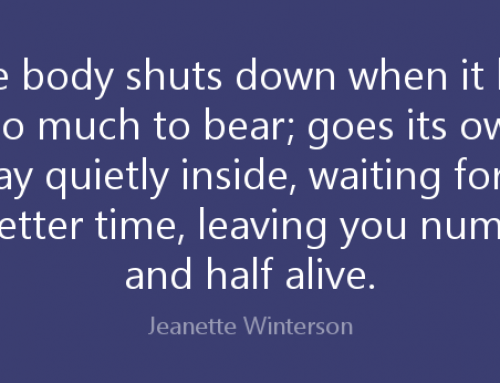 There may be times that your family member asks to be taken off the ventilator because they just can’t go on anymore. You have to remember and keep reminding them that they are going to get better and that they are going to get out of this. And try to give them a reason as to why they need to carry on. For me it was my newborn baby, and my family reminded me of that every time I tried to give up. As I mentioned, get them onto an anti-depressant medication sooner rather than later, and get them an anti-anxiety medication ( like Ativan ) for when they are having severe panic attacks. These times will be very, very hard. This is when you need to be the strongest for them. Another important thing to remember is that other than if they are in a coma, it is likely that they can still hear everything that is being said. Even if they are lethargic, and appear like they are out of it or like they are sleeping, they can still hear you a lot of time. So talk to them!! And tell them what is going on! I was so terrified when I was first told what I had because I had never heard of it – and they kept saying that it was very rare. And hearing some of the nurses say they had never seen a case of GBS before only made me more terrified. For my sanity I needed to know as much as I could about what was happening to my body. It was so important to me that I be kept in the loop about everything. But I couldn’t say that at the time. So tell them about GBS and what is happening every day. Get a copy of the GBS handbook from the GBS foundation and read that to them so they can start to understand what GBS is and what it is doing to their body. Read them my book “Happily Ever After” to help show them that someone else has been in their shoes and knows what they are feeling. And remind them again, that with GBS, they will get better. 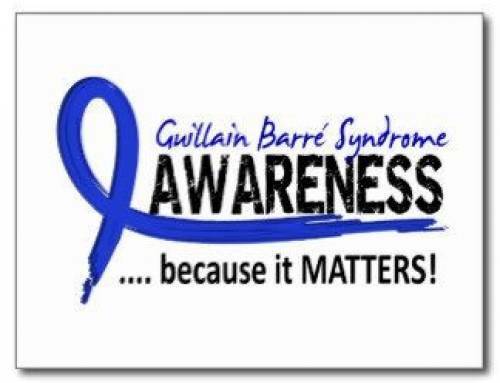 They may be hard to watch, but check out all the different You Tube videos out there on Guillain-Barre syndrome. There are tons of videos, including my own, showing people’s experiences and recoveries. It will not only prepare you of what is to come, it will show you that there are so many people out there that have been through this and recovered – often completely. And if you think they may want to see them, show them the videos. Some of my family members were hesitant on showing them to me because they didn’t want to scare me, but personally, I was happier that I wasn’t being left in the dark. Seeing another patient’s video of his journey with GBS, helped show me that there were other people out there that had had it, gotten through it and recovered from it. It definitely gave me hope. If you are able to find someone that has had GBS in the past to visit them, than even better. Being diagnosed with such a rare illness that no one has heard of and doctors rarely come across is extremely isolating, and you feel like there isn’t possibly anyone that could understand what you are experienceing….so being able to meet someone else that knows what they are going through can make all the difference in the world! The GBS Foundation has liaisons all around the world so get in touch with them and hopefully they can find someone within your area to come and visit them. When I first saw someone walk into my room that had severe GBS just like me, and that had recovered – it made me think that maybe, just maybe I could too. Another great resource is Facebook! There are several fantastic support groups on Facebook – just search Guillain Barre or GBS in the search bar and they will come up. There are thousands of active members around the world that can answer questions for you as they come up – and as things progress you will likely have many. So reach out to people who have been where you have. If they are on a ventilator and unable to speak; communication will seem almost impossible. So as soon as you can, write out all the letters of the alphabet on a board to spell out words. Point to the letters and have your family member move his head or blink his eyes when you get to the letters they want to use. Now remember this is going to take a very long time and will likely be frustrating for them, so it’s not something you will use a lot – but it is a tool you have. As a better alternative, try to list the common things they ask for, and write those down too. Things like, “In pain” – to get them more meds, “Hot” if they need a cloth on their forehead , “Turn” if they need to be moved to a new position, etc, etc. and have them point to that word. It may also help to have them mouth words when you are trying to figure out what they are saying. Please don’t ignore them and always try to figure out what they are communicating to you, even if it is difficult. 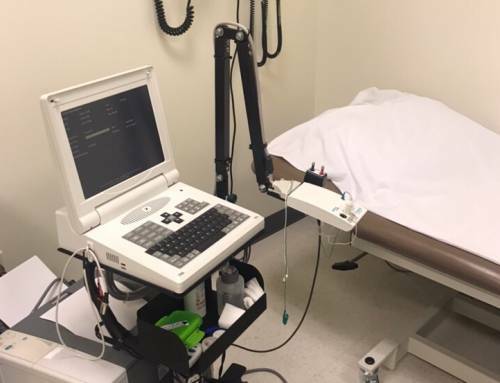 Autonomic things – like blood pressure, body temperature, the ability to urinate/have a bowel movement, these are all things that are usually affected and are very common. While obviously these are things to pay attention to, I wouldn’t say that you need to be worried that they are happening. Doctors will provide medications to help, but these things are all very normal with GBS. Advocate for them! Your family member cannot talk, so you need to be their voice. And sometimes you have to push to get what you want. Don’t be afraid to ask the doctors about trying new medications, or new methods to help with their struggles. As the days go by, you will figure out what works for your family member. Yes the doctors have experience with illnesses but maybe not GBS, and even if they do, that doesn’t mean they know what works best for them. All GBS cases can be very different, so listen to what your family member is communicating to you about what they need, and be their voice to others. Stress levels, tension and emotions will be high so it’s normal for the patient and family to often be agitated and frustrated. And you won’t always agree with what a nurse is saying or doing. But if a nurse is being flat out rude to you and it is causing anxiety to your loved one, get them out of there. Yes it’s important to remember that everyone is likely stressed and tired, but if your nurse is downright ignorant or cruel, and dealing with them is unmanageable – speak to a supervisor. You have every right to ask to be assigned a new nurse. It is not good for the patient to be in a stressful environment. After a week or so you will hopefully get a physiotherapist to visit, and they will show you range of motion exercises. The patient will be paralyzed and unable to move, and it can be quite painful, but it is still very important to keep those muscles and joints moving. For me, as the sensitivity in my skin decreased, it actually became something I looked forward to. It helped with muscle stiffness and aches and pains, and helped pass the time. People don’t realize how important it is for family to help move those limbs around but I’ll give you an example – my family lifted my right arm up above my head several times a day, but didn’t lift my left one as high because every time it bumped my trach, it made me throw up. Months later, when I was in physio, I couldn’t lift my left arm nearly as high, and I had to spend twice as much time on that arm rehabilitating it. Also ask for something to keep the foot from dropping – PT will likely bring in some sort of boots for the patient to wear that keep the foot locked and straight. If you don’t do this, the muscles in the feet will weaken and cause “foot drop” -which makes it more difficult to lift the toes up when learning to walk again. Eventually they will need to be sat up in a bed and after that, they will need to be taken out of the bed and put into a sling and then into a chair (watch my video to see how that’s done). The patient will probably hate this because it will be so painful to be taken out of bed, but it is also very important. It is not good on the lungs to be constantly lying down, especially on the left side, as your heart actually puts pressure on the lungs and start to collapse it. Take care of them as much as you can! A lot of the time, nurses don’t have the time to do more than the basics, so do what you can to make them feel clean. It’s bad enough that they don’t get to bathe. So brush their teeth (use an electric toothbrush to make it easier and faster) wash their face at night, shampoo their hair, and put lotion on their hands and legs (if it’s not painful for them). Put lip chap on their lips and put eye drops in their eyes. For girls, if they are up for it, even shave their legs and paint their toenails. I felt absolutely disgusting as I lay in that hospital bed for days and days, but having my family do these minor things did help me feel better. And it also helped pass the time and gave us something to do. Oh and for patients with long hair, get that hair brushed and then kept in a braid at all times. It will be so difficult to deal with otherwise. Being trapped in a bed, time is going to feel like it is going by even slower than it is for that person. Find things to do. Watch TV shows and movies, and read them books. Let them watch the news if they like that, so they don’t feel so isolated and out of touch with the world. Read them their emails, Facebook messages/posts and text messages. I was trapped in my own body, isolated in a hospital room and having my mom read my messages to me gave me a lot of comfort knowing that there were people out there thinking about me. Try and make their hospital room feel more like home. Bring them their pillows and blankets from their house. Put up pictures of family and friends where they can see them. If they have pets, see if you can bring them to the hospital for a visit, (possibly even just outside). To brighten up the mood in their room, listen to upbeat music, and try and make them laugh!! But if they need to, let them cry. The majority of the time there will be nothing that can cheer them up and you just have to be strong for them when they can’t be. Take what the doctors tell you about their recovery with a grain of salt. GBS is an extremely unpredictable disease that a lot of doctors don’t even fully understand, and it’s just not possible for them to fully predict what is going to happen – even if they try. Now because they don’t want to be held liable for someone not recovering when they were told they would – they will usually give you the worst case scenario. I was told that I would not walk for at least two years and even the EMG test showed that, but then I was walking completely on my own only three months later. If a doctor tells you bad news, please don’t get discouraged. Miracles happen every day so please stay positive and hope for the best. However it is always smart to be prepared. Expect the best case scenario, but plan for the worst. Start thinking about what sort of things they may need at home if they are disabled. Sometimes people go home before they are fully recovered, so look into wheelchairs, walkers, wheelchair ramps, etc etc. on your free time. Take it one day at a time. Don’t let the patient worry or stress about what is to come down the road. They need to focus on getting through today and that is all. As they are learning all the things they have to learn again, (like breathing on their own, lifting their hands up, eating with cutlery, and eventually walking) tell them to focus on each of these things, one thing at a time. When I thought about all the different things I was going to have to learn how to do again, I was so overwhelmed and it gave me panic attacks. Tell them to focus on one task at a time. They can deal with tomorrow’s struggles, tomorrow. Tell them to just focus on getting through today. For me, even though I was improving on a weekly basis, I couldn’t see it. In my mind I was not getting better. You need to show them and remind them constantly that even the tiniest improvement is a sign that they are getting better. Videotape those tiny first movements, from fingers and toes wiggling, to them holding up their head up again. In a few weeks when they are even stronger, show them those videos to remind them of how they have improved. They will slowly realize that they are getting better, even it if it is taking a very long time. As they reach new milestones, document them and constantly point out the things that they can do this week that they may not have been able to do last week. These things may help reassure them that they really are improving- even if they don’t see it yet. And constantly encourage them not to give up fighting. They will feel discouraged that things aren’t happening faster but as things improve they will slowly get stronger. GBS will likely be the most challenging thing that your family will ever face. It’s not going to be easy, but I promise that you will come out of it stronger than before. It will be hard to see now, but you will learn so much about strength and determination, and what’s important in life. I myself look back on my experience with GBS as a blessing because it taught me how short life really is, and to live my life to the fullest. PLEASE stay strong, remember to stay positive and don’t ever give up. You will get through this. When I read the emails I get from people dealing with a new diagnosis of GBS, I can hear the pain and fear in their words. It breaks my heart because I understand it so well, and I truly wish I could do more to take away that pain. I hope that this article can at least help give people some tools to deal with it. Please share with anyone you know that may be dealing with a recent GBS diagnosis. Yes you are going to have bad days, for a while, but I promise they will get farther and farther between. Things will get better, you are still very early on in your recovery. Thank you for sharing. 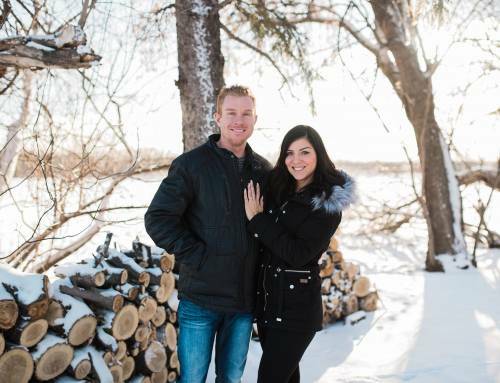 My husband was diagnosed with GBS on the 17th of November. We stayed in the hospital for almost a month and decided to go home since he can breathe on his own and he felt depressed looking at the 4 corners of his room every day. I don’t blame him!!! I almost left the hospital as well but then I got into a rehab hospital. But I did leave that early because I just couldn’t be away from my baby anymore. Hope your hubby is doing much better !! I wish medical professionals would read this article, especially the paragraphs about the pain and sensitivity! They can’t understand, as it is outside their realm of experience and there is nothing to compare it to. I was on heavy pain meds, they didn’t take away the pain and intense itching. I was told to just distract myself, once I was moved to the rehab hospital for 3 1/2 months. They just don’t know. I love that you wrote this! There is so little information available, even from hospital staff, while it’s happening. Saw your video on YT, found it very inspirational. I am mobile again but still have some mild paralysis on the right side, including my face. The face is what bothers me the most. It seems to have stopped improving but after seeing the energy you put into your recovery and the great results, my resolve to keep working at it has returned! Hey.. Myself Dr Virendra from India. I am a pediatrician. I have seen some GBS kids in my hospital. And I know this disease is very dangerous. Seeing a GBS child is like heart pounding feeling… Plz tell me about your GBS foundation and it’s activities. THe GBS foundation information can be found on their website. They provide support to GBS patients, and also do funding towards research. I cant imagine dealing with children having to go through this terrible disease. Thank you for all that you do. This is fantastic Holly! I am a nurse in the ICU where you were admitted. I actually never took care of you personally as I was only casual at the time and worked only 4 or 8 hr shifts. I spoke with your family a lot and held your baby girl a couple of times. I did assist a few times with turns, lifts and mobilizing and it was a real learning experience for me as well. I read your book and continue to read your posts. I have learned so much from your story and hope that I can be a positive care giver and more empathetic nurse when taking care of our GBS patients. Thank you thank you thank you for sharing everything you have shared over the past years. No nursing text book could ever have prepared me for taking care of patients in situations like yours. My husband was diagnosed with gbs in March 2015. He was 61 yrs young, we were married for 41 yrs. I did not know anything about this. They did ivig treatments, he would flat line when he was moved. So they gave him a pacemaker. The ivig treatments did not work they were going to the blood cleaning but no one would do it. It was so sad to watch this and not knowing what to do next. I didn’t know that when I hugged or kissed him that it sent electric shock throughout his body. I felted helpless. I tried everything to no avail. Well the time came when I had to make a very important decision bc his organs were shutting down his blood pressure was 60 over forty. The Dr came in and said that I had to make the WORST THING in my entire life and was to take him off life support and call in hospice. I ask him if he was ready to go and he nodded his head yes, I said to him that I don’t think I can make this please don’t make me do this tears came down his face and I knew he wanted me to do this. So with all the strength in my body I said yes. Went home and called them and said I cannot do this, but I was thinking that he was in such pain that I had to do this. So on August 18, 2015 my husband passed away. I love and miss him so much.